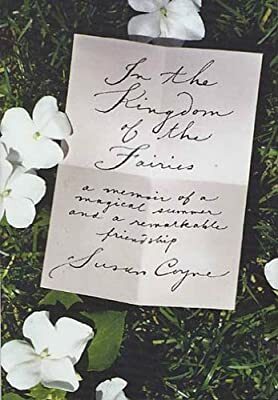 Author: Coyne, Susan Set In . . . When Susan Coyne was five years old her family went, as always, to spend the summer in a cottage on Lake of the Woods in Western Ontario. One of their neighbors was an elderly retired school administrator and his wife, Mr. and Mrs. Moir, whose garden was one of the local wonders. Nearby was a ruined cabin now inhabited, Susan was assured, by elves; all that remained of it was a moss-covered fireplace, a miniature enchanted castle with tunnels and ramparts. If you leaned in close you could hear the hum of elves living and working deep within. Susan swept the heart, filled walnut shells with water, and left a small tribute of flowers. One day when she visited the fireplace she found a letter waiting for her; it was from a princess fairy. and so began a summer's correspondence that would nourish a lifetime. Susan later knew that the letters were written by Mr. Moir, with whom she stayed in touch over the years. But to her they always remained pure magic, a pathway into the worlds that words alone can create. Here is a memoir for children of all ages - to be read, read aloud, reread, remembered.